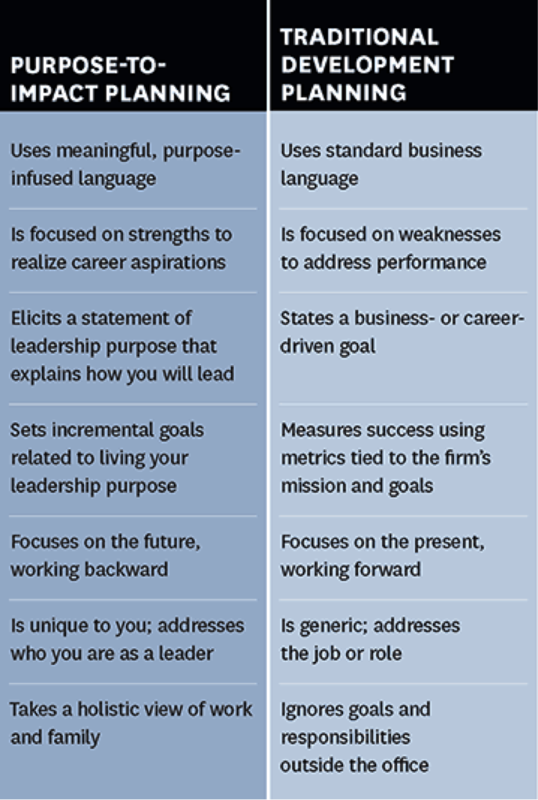 Your leadership purpose is who you are and what makes you distinctive. Whether you’re an entrepreneur at a start-up or the CEO of a Fortune500 company, a call center rep or a software developer, your purpose is your brand, what you’re driven to achieve, the magic that makes you tick. It’s not what you do, it’s how you do your job and why—the strengths and passions you bring to the table no matter where you’re seated. Although you may express your purpose in different ways in different contexts, it’s what everyone close to you recognizes as uniquely you and would miss most if you were gone. When Kathi shared her purpose statement with her family and friends, the response was instantaneous and overwhelming: “Yes! That’s you—all business, all the time!” In every role and every context—as captain of the army gymnastics team, as a math teacher at West Point, informally with her family and friends—she had always led from behind, a gentle but forceful catalyst for others’ success. Through this new lens, she was able to see herself—and her future—more clearly. When Dolf van den Brink revealed his newly articulated purpose to his wife, she easily recognised the “wuxia master” who had led his employees through the turmoil of serious fighting and unrest in the Congo and was now ready to attack the challenges at Heineken USA head-on.